From pale ale to stout – a deep dive into the world of craft beer. Okay, we confess, we are beer neophytes, but after chatting with independent beer educator and all-round ale guru Matt Kirkegaard, we feel a little more clued up. Matt has a job that would make any beer lover exceedingly envious. He writes and talks about, travels for and, of course, drinks beer for a living. Matt’s collaborated with some of the biggest names in food, won the country’s inaugural trophy for beer writing, established the industry news outlet and podcast Brews News and hosts regular dinner and beer education classes. In this episode of ExtraVirgin, Matt tells us why old-school Australian beer is like the ‘plastic’ cheese slices of our childhoods, and explains how the rise of independent brewing opened our eyes and tastebuds to a whole new world of beer. We learn why you should drink your beer out of wine glasses, how far to fill the glass, and how to match beer with everything from steamed mussels to ice-cream. Natascha also gets to taste one of Matt’s latest discoveries, a beer that even someone who doesn’t usually drink beer can enjoy. So, sit back, pour yourself a cold one and enjoy this episode, starring the world’s most popular alcoholic beverage. In this episode of ExtraVirgin, we talk to Yvonne Shepherd, owner of Women’s Fitness Adventures. In 2013, Yvonne called time on her stressful corporate career to follow her dreams of encouraging other women to improve their own health and fitness. Today she inspires women by taking them walking to some of the most beautiful places in the world — from the cliff tops of Italy’s Cinque Terre, to the Australian outback; her goal, to support women to not only become fitter and healthier, but fearless world adventurers. We talk to her about the environmental responsibility of tour operators, why we need Jane Fonda as part of our exercise routine, her favourite walk in the world and what it’s like wrangling groups of women of all ages and fitness levels in sometimes very remote places. And if you haven’t already, think about downloading Extravirgin from Itunes, Spotify or wherever you get your podcasts so you get new releases as they come out. And keep an eye out for sign up soon for our newsletter which will have plenty of info for food and travel lovers, as well as, we hope, some tempting travel specials. In this episode of ExtraVirgin, we meet writer and photographer, Suzanna Clarke, who was on holiday in Morocco with her husband when she decided to buy and renovate a dilapidated house in Fez, Morocco. Always up for a challenge, the adventurous Suzanna settled on a 400-year-old house in Fez’s world-heritage-listed Medina. The couple, with a team of tradesmen and artisans, restored to its former glory one of the Medina’s famous riads, a traditional multi-storied Moroccan house built around an internal courtyard. The move to preserve these historic buildings, which were once the stately homes of Fez’s wealthiest citizens, has sparked a revival of the many handcrafts and artisan trades required. Imagine completing an entire renovation of a 400-year-old building with only hand-tools, and donkeys to deliver your materials. Suzanna wrote a memoir about the experience of buying and restoring the riad, called A House in Fez. It chronicles the meticulous restoration but it is also a journey into Moroccan customs and lore and a window into the lives of the people of Fez. You can find it on Booktopia.com.au, Amazon.com.au, Bookdepository.com and Wordery.com. Suzanna and husband, former ABC broadcaster Sandy McCutcheon, have gone on to build busy and fascinating lives in Fez. They run a charming guest house in the Medina called Dar Malika, write an English-language blog about Morocco called The View From Fez and have expanded their hearts and family by adopting two local children. You’ll also hear how Suzanna and friends created the Medina Children’s Library, which encourages literacy and a love of reading in the local children. The library has been enthusiastically received by the children of the Medina with about 1200 visits per month. If you’d like to help share the joy of reading, you can make a donation which will be used to buy more books by clicking here. Finally, we get Suzanna’s hot destination tips to help you get the most out of a visit to Morocco. From the labyrinth-like laneways of Fez’s Medina to unspoiled coastline and glamping under incredible starred skies in the desert, there’s magic to be found; Morocco just may be your – and our – next big destination. Our guest Julie Tjiandra turned her love of food and reading about food into a profession. Her bookshop, Scrumptious Reads, is a paradise for book-loving foodies with everything from cookbooks to culinary history. Julie says demand really took off with the popularity of cooking shows and the rise of celebrity chefs. With literally millions of culinary books out there, Julie talks to us about her favourites as well as what’s up and coming. One recent publication is so beautiful, you’ll want to keep it on your coffee table when you’re not using it in the kitchen. She’s also got a hot tip for the best cookbook to give to that young person you know who’s moving out of home for the first time, and a theory as to the popularity of Ottolenghi. Julie hosts a Cook Book Club with chef Danielle Dixon, in which they choose a cookbook and test the recipes. To find out which Australian MasterChef alumni wins top points for having his recipes always work out exactly as they should, listen now. If you’re anything like us, you’ve probably started thinking about your travel plans for this year. In this episode of ExtraVirgin, Sam chats with Natascha who reveals three of her favourite travel destinations – places you might not have considered but she thinks you should probably put on your bucket list. Why you shouldn’t ride an elephant or take a selfie with a tiger. They’re all over instagram – tourists in photos holding monkeys or sloths, or patting a tiger, but what really lies behind these seemingly innocent pictures? As tourism booms around the world, animals are often treated cruelly in attractions aimed at visitors. Unsuspecting holiday-makers may not realise that the price of an elephant ride or a selfie with a precious tiger, monkey or dolphin may be the safety and welfare of the animals themselves. In this episode of ExtraVirgin, we talk to Ben Pearson of global organisation World Animal Protection. Ben explains the cruel treatment of animals used in these sorts of attractions around the world and advises what animal-loving travellers can do about the problem. If like us, you grew up watching The Love Boat you’ve probably thought about cruising at some stage in your life. Travel writer and veteran cruiser Caroline Gladstone has done more than just think about it, she’s been on more than 60 cruises – from the Antarctic to the Pacific islands and thus knows pretty much everything there is to know about shipboard life. 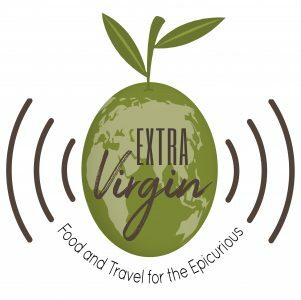 In this episode of ExtraVirgin, we explore the cruising lifestyle with her – who does it, why you’d want to do it, how and where to do it and how to get the best deal. Whether you’ve already booked your dream cruise, or just thinking about it, you’re sure to pick up some useful tips from this cruising maven. And if you have any tips or tricks of you own, or questions, we’d love to hear them. Just leave a comment.